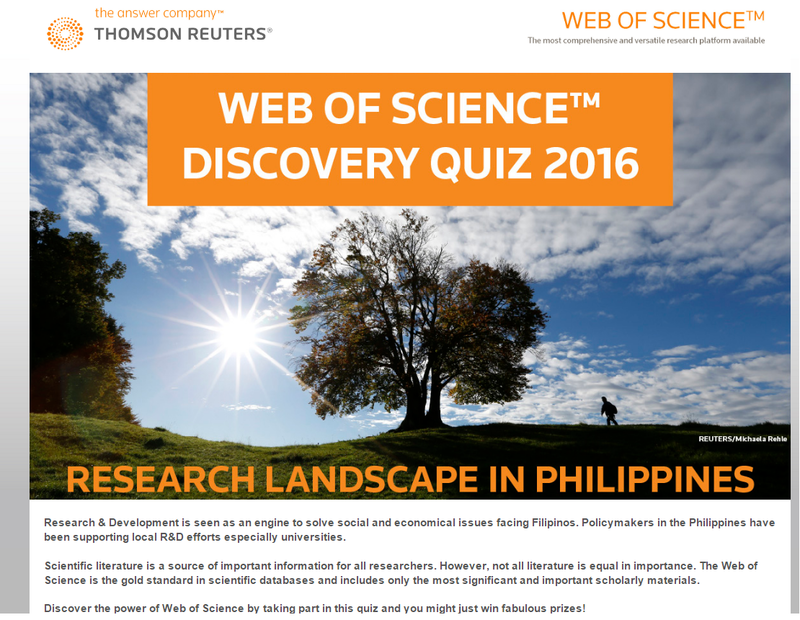 Thomson Reuters is holding the Web of ScienceTM Discovery Quiz 2016: Research Landscape in the Philippines, from now until 17 June 2016! 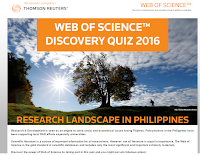 The Quiz is open to all students, faculty and staff of the university. Take part in the Quiz and stand a chance to win exciting prizes! Simply register HERE to join and for more details. There will be monthly and grand prize winners. Terms and Conditions apply. Results will be announced in July 2016. Thomson Reuters also wants you to decide their top 3 prizes, each valued between USD 300 to USD 500. Simply complete this SURVEY FORM to suggest your favorite prizes! Web of ScienceTM provides researchers, administrators, faculty, and students with quick, powerful access to the world's leading citation databases. Authoritative, multidisciplinary content covers over 12,000 of the highest impact journals worldwide, including Open Access journals and over 150,000 conference proceedings. Current and retrospective coverage in the sciences, social sciences, arts, and humanities, with coverage dating back to 1900s are also included here. The trial access to Springer Contemporary eJournals and eBooks CY 2012-2016 are now available until 22 June 2016. 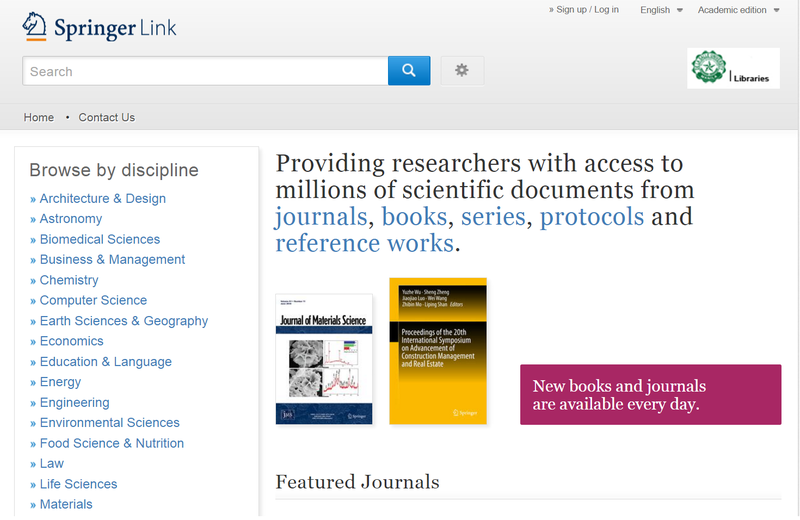 Springer offers access to more than 2,000 eJournals and 35,000 eBooks across all disciplines including: Computing, Business, Mathematics, Economics, Humanities, Psychology, Environment, Social Science and the core sciences Biology, Chemistry and Physics. Please visit the Libraries’ homepage to access the database on and off campus via your Internet browser. To be able to access all contents, uncheck the "Include Preview-Only content" tick box. Once Springer Contemporary eJournals and eBooks CY 2012-2016 have been tried, kindly click and accomplish this Online Feedback Form (indicate Springer 2016 at the field: Name of online article/journal/ebook database and/or tool). Your feedback/recommendations/comments will greatly help in evaluating whether or not to officially subscribe to this service. 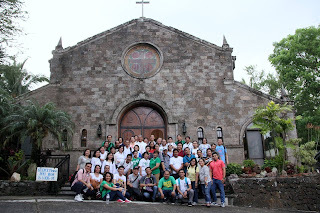 More than sixty (60) library personnel attended the Faith Formation Seminar with the theme Spirituality in the Workplace held at the St. Scholastica’s Center for Spirituality in Tagaytay City on 12 May 2016. Fr. Francis Xavier Salcedo, former DLSU Chaplain, was invited as the resource speaker. He discussed the spirituality of work and work-life balance; stewardship and finding life’s purpose and meaning; and, spiritual leadership and accompaniment in the workplace. Fr. Salcedo explained that working is not just a personal but also familial and societal issue. He stressed that one can work more effectively and efficiently if he/she has a better understanding of balance in the work-life and the spirituality of work. It is important that librarians and library staff should have the ability to handle stress effectively as it affects their mind, emotions, and body. Fr. Salcedo said that leadership, like spirituality is a very misunderstood if not misused term. The values of the world have become more materialistic and less spiritual. Developing one’s faith is more than just a personal concern. For Jesus, it grows through loving service towards the last, the lost, and the least members of society. He further defined spiritual leadership as a process of influencing people to accomplish their mission and inspiring their commitment to institutional goals, and improving the organization and management. He expounds that each one is a leader who could inspire one another in the workplace. Towards the end of the seminar, two participants were asked to share their thoughts and experiences related to what have been discussed by Fr. Salcedo. The whole day affair was highlighted by the celebration of the Holy Sacrifice of the Mass. 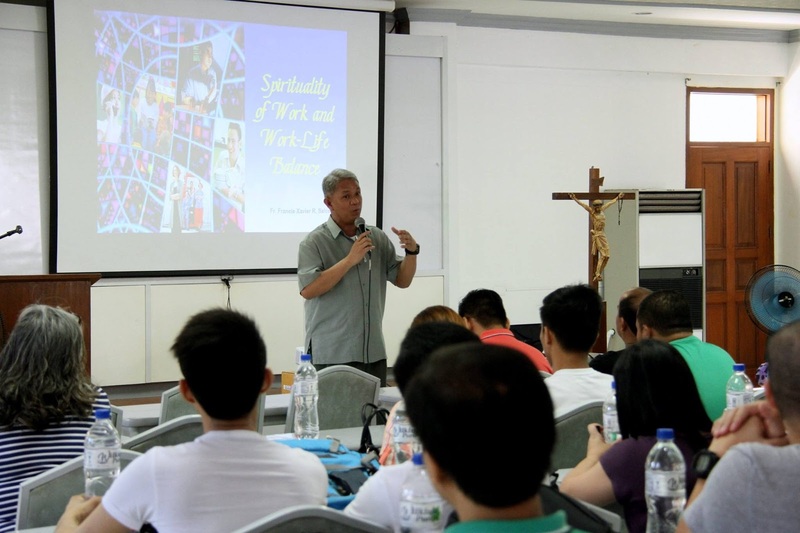 Sixty (60) library personnel attended a one-day spirituality formation seminar entitled “Spirituality in the Workplace: Realizing the Value of Work and Self for Others” held at St. Scholastica’s Center for Spirituality, Tagaytay City on 12 May 2016. This seminar was organized by the Libraries to deepen the faith-life and Lasallian identity of the library personnel as well as to encourage them to have the right motivation to value their work, workplace and self. Fr. Francis Xavier R. Salcedo, the former chaplain of DLSU and a faculty member of Theology and Religious Education Department was invited to be the resource speaker. The seminar was divided into three sessions, namely: 1) Spirituality of work and work life balance; 2) Stewardship and Finding Life’s Purpose and Meaning; and 3) Spiritual Leadership and Accompaniment in the Workplace. Lectures were delivered with video presentations to further enhance the learning experience. F. Salcedo also invited the participants to reflect on each topic to understand the importance and relevance of spirituality and work life balance as they perform their jobs and support their families. In one of the activities, participants were asked to evaluate the most important thing in their lives, their priorities, and things that they are thankful for. At the end of the sessions, two participants were requested to share their reflections with the group. The ambiance of the venue was very inviting to relax and keep calm while exploring the retreat grounds during the breaks. The culminating activity ended with a mass officiated by Fr. Salcedo.